On Friday, January 11th, 2019, the Boston Bruins have traded defenceman Cody Goloubef to the Ottawa Senators in exchange for forward Paul Carey, one-for-one. 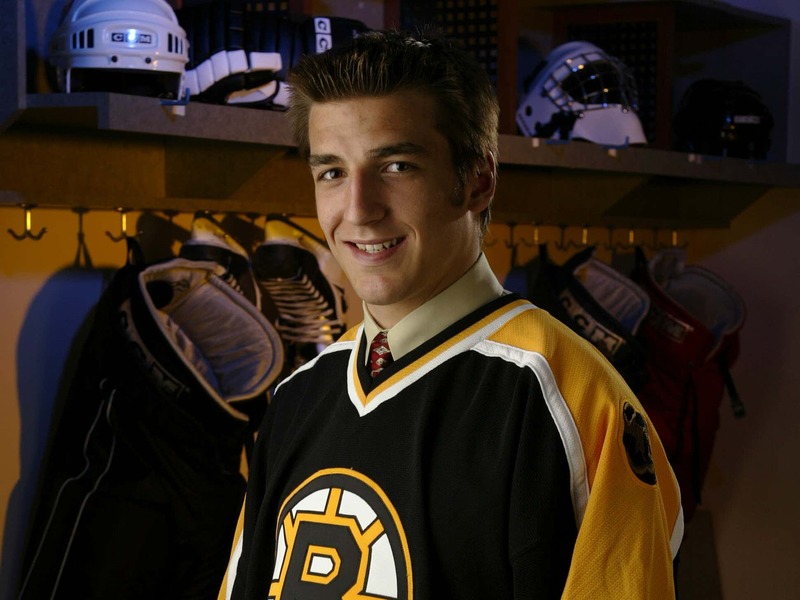 Paul Carey is a 30-year-old center from Boston, Massachusetts who is coming into the Bruins organization in the midst of a fairly solid AHL season. Carey was drafted 135th overall (5th round) in the 2007 NHL Entry Draft by the Colorado Avalanche, but only played a combined twenty-two games with the Avalanche in the National Hockey League. The four-year Boston College veteran already played for the Providence Bruins for a brief time in 2014-15, scoring two goals and five assists for seven points in seventeen games. He also scored one goal in the playoffs with Providence that year. With little National Hockey League experience under his belt, Carey played in sixty games during the 2017-18 season with the New York Rangers, scoring 7-7-14 totals and a -13 rating with twenty penalty minutes. This season, the 6-foot-1, 200-pound forward has spent the majority of the time with the Belleville Senators of the American Hockey League, scoring 5-22-27 totals in twenty-nine games. Carey went pointless in five NHL games with the Ottawa Senators with an even rating as well. It is most likely that Carey joins the Boston Bruins AHL affiliate team, the Providence Bruins. So, who exactly is Boston trading away and why? Cody Goloubef is a 129-game NHL veteran, amassing a total of twenty-three points in that time. Goloubef has just joined the Providence Bruins after spending time with the Stockton Heat, the Calgary Flames AHL affiliate team for only one season. General Manager Don Sweeney signed the 6-foot-1, 201-pound Goloubef to a two-way, one-year contract to add depth to the P-Bruins blueline. The Bruins did use his services well, as he scored twelve points (3 goals, 9 assists), in sixteen games this season. The main reason for the trade is because of the return of Urho Vaakanainen from both the 2019 World Junior Championships from Victoria and Vancouver, British Columbia, Canada – where he took home a gold medal with the Finland hockey team, as well as a concussion that sidelined him for numerous months. The Bruins would rather get a scoring asset in return for Goloubef instead of just scratching him for the rest of the idea so Vaakanainen could play. Urho is one of the best prospects on the defensive core for the Bruins organization and it is without a doubt that he should play when given a chance. Above all else, this is just a simple AHL transaction – no massive implements will come from it. Here is some insight from Providence Journal’s own, Mark Divver.